I normally don’t share like this on my e-zine because I have a blog for my personal family life ramblings but I really feel like I need to write this to encourage you in your journey. I purposely left out all the details of the situation because my hope is not to exalt the evil being done but instead to bring hope to the downtrodden that have found themselves in my place and to remind them that we can stand blameless with great joy before Him! I finally had a moment to grieve but nothing would come forth. I sat there as the warm water rushed over me yet my soul felt cold and numb. I wanted to cry but the tears lay–suspended in my heart. Once again I found myself in an all too familiar situation. Once again I was allowing His truth to be buried under the rubble of destruction and pain. It wasn’t just any destruction, it was human demolition. The kind that hurts to the core: hatred, lies, gossip and anger. Even though it has been well over 6 years, since the last time I had a person physically and emotionally rip my world apart with their insecurity, lies, anger, gossip and their unstable emotional health. In the matter of hours, afresh laid an open wound before me. Even though I came to a place of forgiveness without any apologies made, I still found myself once again reliving all of those feelings. Those feelings that had found calm in the midst of the storm were now being stirred and haunting me to the core. I was afraid. I sat there shaking–another human tornado was out to destroy. He shines in the darkness. He is for me, do not fear. Unsure of why I couldn’t let the tears come forth, I continued there in the darkness silently weeping, nothing would come forth. I couldn’t let myself fully feel the pain. I didn’t want to go back to that grave. The longer I sat there, the more He worked, I finally let go and His truth broke the numbness. I begin to feel. I felt a little warmth at my finger tips. Oh, it was a bittersweet sensation of His love and my pain. The flood opened wide and the tears began to trickle down. I was reminded why I didn’t want to let myself feel. It hurts too much to hold the pain, exposed in the palms of my hands. The warmth took over my heart, and the tears turned into sobbing. It was a strange feeling of emotions–freedom and pain. Once again, the tears came to a halt. I was unable to fully embrace it all. “It’s too much. It’s just too much!”, I yelled. Oh Lord why are people so evil. Why would anyone do that to me? I was overcomed by my situation and the evil nature of the people involved. I bawled until the streams dried. Out of ashes you will rise. You will stand blameless with fullness of joy before His presence. My lips uttered their names. The names of my enemies. And I began to pray. “Lord, I don’t hate them but I also don’t know how to love them. Help me feel your healing hand. Help them see your Truth. Your salvation. Awaken in me, Lord. Awaken in me. I want your peace. I have walked around in the darkness buried by the lies. 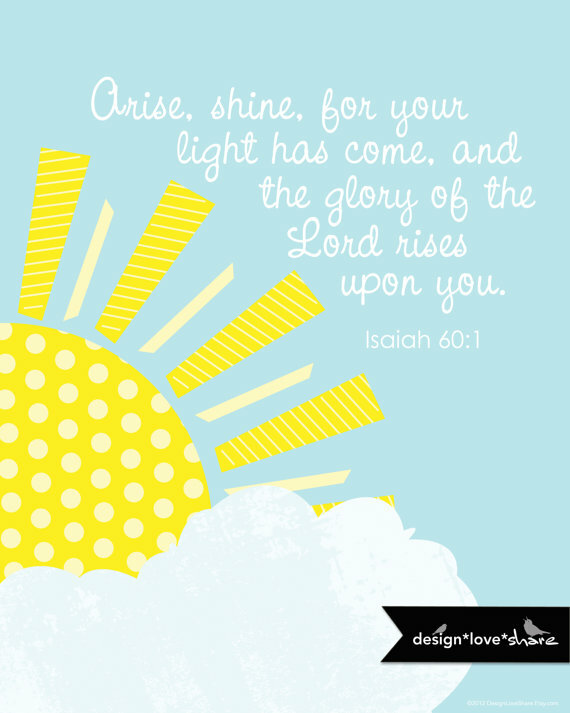 Arise oh my soul. Arise. I trust you! I believe your truth. Not for one minute have I doubted Your greatness in the midst of this but still I carry the burden, my joy has been robbed. My soul is downtrodden. This has been going on in my head for about thirty minutes in between sobs and silence. He brought me to my feet and my hands went up in the air. I am not a “hands in the air” kind of girl, but nevertheless, my arms stood there suspended, hanging in mid-air symbolically saying to God–It’s yours, take it. The pain I was holding just a few minutes ago, in the palm of my hands, was now being handed over to Him. Sometimes we have to call our faith to rise up out of the darkness. Not because we don’t believe but because it has been buried in the rubble of destruction and pain. You can’t see clearly. Sometimes we have to call our soul to awaken and to rise out of the ashes. Not because we have lost our hope but because we are weak. Even though we have been holding on with a tight grip, our hands go numb and we lose feeling, we lose our joy. The truth gets distorted and we begin to question. At that moment He holds out his hand and reaches for ours, to help us rise again. Arise my friend. May He awaken in you, what He has given to YOU. Don’t just claim His truth, but believe it even if you have to do it every 10 minutes. What are ways you find encouragment in the midst of hard times? Our FREE Spirit of Christmas Winter Issue is out packed with recipes, gift ideas, home decor, fashion, kid crafts and so much more! first image from Flickr: Purplemattfish, 2nd image from Etsy shop Design Love Share if you would like to purchase your own copy stop by her lovely shop. I have found in encouragement in the honesty and in the scripture. Well said. I am so thankful we can lean on Him when we are down and that He brings us up again. Trisha, Thanks for the scripture you shared on your comment feed: James 2:13 Mercy triumphs over judgment. I am so thankful for God’s mercy and grace. You are an inspiration to me about forgiveness which I am very bad at. I am more the vengeful type. Amen! And I am sure things will get better with your wonderful attitude! Pragmatic Mom, I wish I could say each time I am hurt I respond in a way that is glorifying to God. Unfortunately, I don’t always respond in a way that I should but in His strength I am trying to in this situation. Your words could be my very own with the situations I have been going thru the last 9 months. I am thankful for God putting your encouragement in front of my very eyes to remind me of truth. I had to fight back tears as I read this because I read it in a public place….but they are tears of peace. God strengthen you and bless you. I have been on a Black list in Boston Massachusetts since 1994.Jobs to care for my children denied, my daughter now is being denied employment, and she has a 3 year old child. I have never been offered a job to provide for my family, the hate from high principalities that controlled the credit rating in Boston, Ma destroyed my every attempt to establish work, my daughter’s life was threatened where a 40 pound window suddenly fell from the window frame on her job, and the doctor attempted to hide the cause of her injury, she survived because of the creator. I am hated because I tried to help someone, in representing them in dispute of equal rights, and justice for this reason the organization an embodiment of people in power over the union destroyed my life, and the life of my family, where I would never ever work again in Boston MA, and now that I am older after 19 years of being unemployed, I am no longer in my youth, or an asset as labeled as deemed be doomed. I hate evil intentions, especially when I have never had any intention or desire to bring harm against anyone, yet; my life and every possibility to live a prosperous life, was intentionally and deliberate destruction of my life determined not to allow me to ever prosper, and how my family suffered along with me. I am not dead yet, but each day of my life I cry for the years of suffering and pain only because I tried to help someone. I know the creator loves me with all the darkness, I pray for my children now who’s lives are being deemed, hopeless because I believed in helping someone. I was taught to do unto others as you would have the do unto you, but in my case my life was severed before I had an opportunity to live. Rosemary, I am sorry to hear all that has happened to you. I pray that you will find peace in His love. Sister, I’m s sorry for the upheaval. Thankful that you can see Jesus walking near by and holding all things together with His power and love. Thanks for giving us a glimpse into how to pray and encourage you.